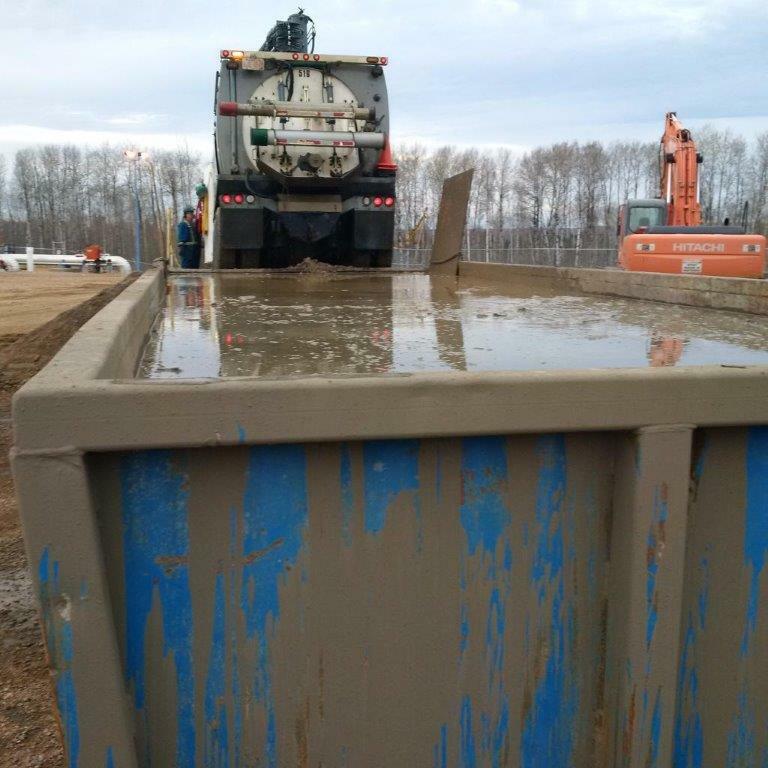 Hydro excavation (hydrovac) generates liquid slurry that’s typically dumped at various receiving sites. 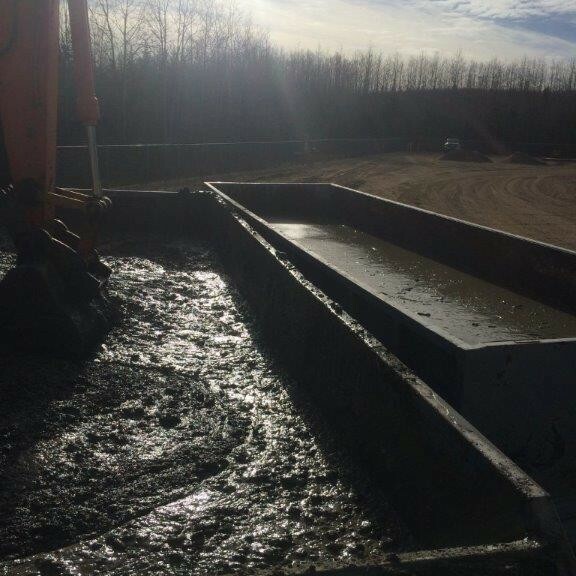 To deal with this slurry, there are usually multiple bins or pits that will hold the slurry until it dries, or the slurry is spread out on drying beds to dry. This traditional treatment method requires a large area and can have issues when there is rain or snow. 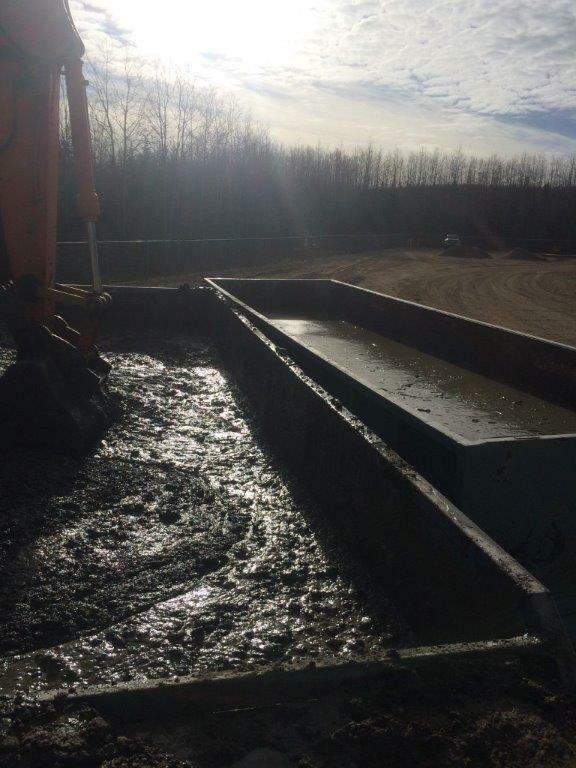 MetaFLO’s technology will allow receiving sites to solidify the slurry within hours of receiving the material, which means the footprint of the receiving sites can be significantly reduced and the overall operating cost will be drastically lower. 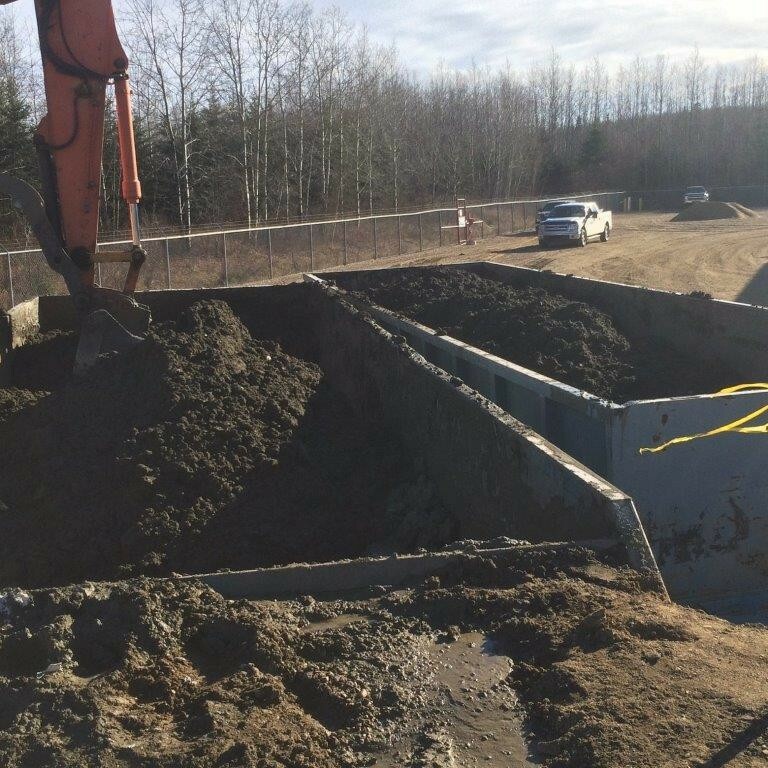 After solidification, the soil like material can be loaded into dump trucks and transported to the final disposal site. 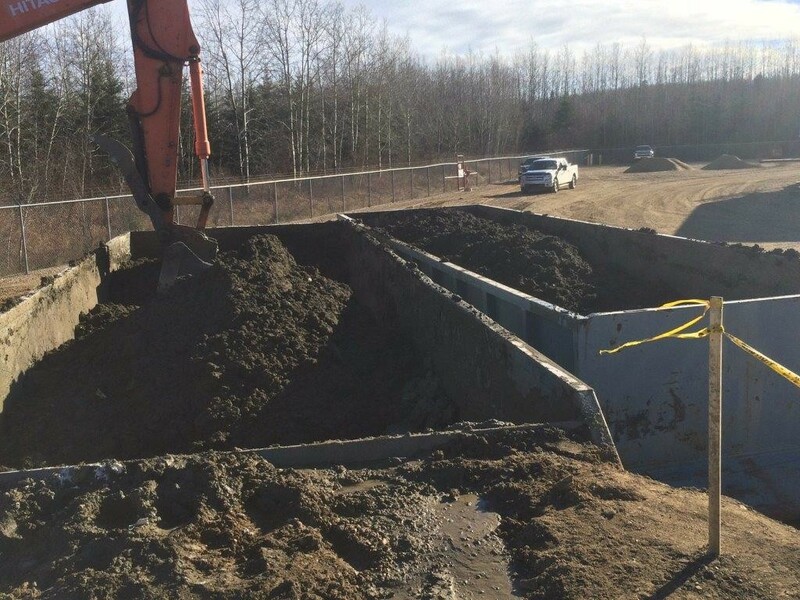 As seen in the photos bellow, as a result of the application of the proprietary MF006 reagent, the hydro excavation material on the left was transformed to the dry, earth like finish in the right photo. 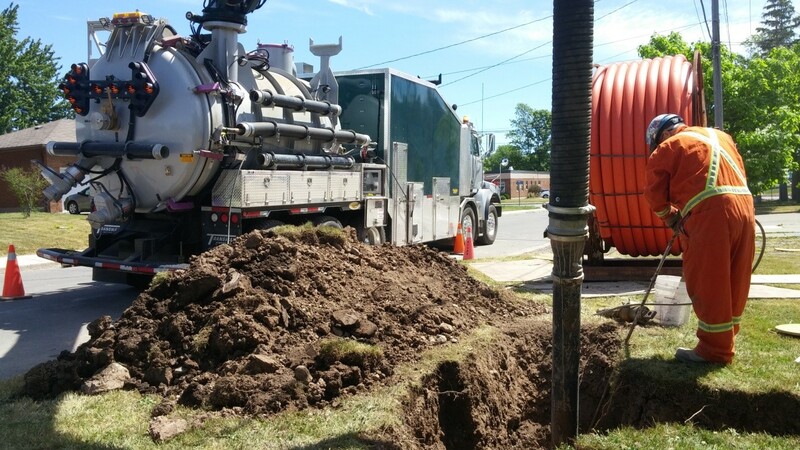 This solution required no in-ground sumps, provided optimal efficiency for expensive hydro excavation trucks and low cost disposal options for solid material. Also, the 1% doseage required for solidification with MetaFLO’s reagent, results in a much smaller quantity than would be produced by sawdust or wood chip bulking methods. 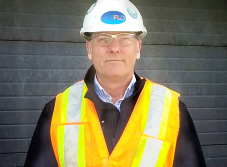 This also reduces activities that generate a carbon footprint and mitigates safety and environmental risks associated with shipping large quantities of liquid waste.